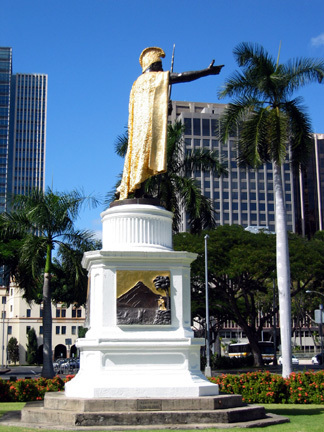 There's a great statue of King Kamehameha I near the State Capitol in Honolulu. Kamehameha I was the king who united the Hawaiian islands. He and his descendents ruled the kingdom for over a century. Unfortunately, the King had his back to the sun and I couldn't get a good head-on photo of him.